iPhone and iPod Touch users can now download the TDS iPhone App from the Apple App Store. This is the perfect way for you to support our virtual camera club and get lots of useful tools in the bargain. When you get The TDS Podcast App, you will automatically receive each week's podcast. No more syncing headaches or missed episodes. We'll always be there waiting for you on your mobile device. Plus, you'll receive bonus content on a regular basis. It's just fun stuff, but there will be things you like. For example, on the Show Extras, how about a Free 24-Hour Pass to Lynda.com. That's right, for 24 hours you can watch any training you want from a library that features thousands of videos. To receive your free pass on the new iPhone App, just click on the Extras button in the upper right corner of the Episodes listing on the iPhone App. You'll then see the link marked Free Pass! Click on that and all the information you need will be right there. The Extras menu contains special offers. And remember, each individual episode has its own Extras button. 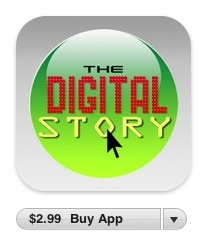 And if you like the TDS iPhone App, please give it a rating... or even write a short review. This will help attract new members to our virtual camera club. We've tried to make the menus and interface as intuitive as possible, but there's probably more to the application than initially meets the eye. I recommend taking a quick look at our Support Page for a comprehensive overview of the podcast application. Pay particular attention to the section that explains the "Star" feature. It's very powerful! I downloaded your app @ itunes it load on my iphone ok but, there is no free pass. I too d/l the app and the lynda 24 hour free pass didn't work. i was looking forward to checking it out. Will this app work on an ipod touch? Hi Derrick - Some confusion here. I had already subscribed to iTunes RSS feed which I have to synch to my iPod Touch and that is fine. I bought TDS app for iTouch, but can only listen when I am online. I like to listen while driving, so I guess I need to listen to the downloaded podcast on iTunes.....am I correct?? I wanted to read your "support page" but the link is not working. The requested URL /blog/app_support/ was not found on this server. Apache/2.2.14 (Ubuntu) Server at www.wizzard.tv Port 80"
I have downloaded the app for my iphone and have never been able to access any episodes. I am embarrassed to say I have had it maybe 6 months and have never been able to use it so I just gave up and download the episodes on my computer and then sync to the iphone. In the app, when I click on episodes it says no episodes found. I tried to use the above link for the support page and it says the page is not found. I would have to say the app was useless for me. Does not work and no way to get to the support page. The app on my iphone shows "no podcasts". How do I get podcasts to the app? I tried using the link here to the support page but that says "not found on this server." What do you suggest???? I recently updated to the latest iOS and tried to start up the TDS Podcast app and it won't load. It crashes each time I launch it. Any other reports of this in iOS 6.1.2 with an iPhone 5?? Also, not sure if this was an issue in other OS versions. I hadn't actually opened the app since I updated to 6.1. I haven't updated to iOS 6.1.2 yet because of the reported problems, so I can't comment in this issue. But I will keep an eye on it. At the moment, for me, with iOS 6, it's working fine.